Come for yoga. Stay for family. Our philosophy is simple. At Radiantly Alive Yoga Studio, we believe you are perfect as you are. Radiantly Alive serves as a light - offering yoga as a guide to bring you in touch with your own, true self again. We know that deep within you, the map is there and the path is laid out, it just needs to be illuminated. We, Jasmine & Rafael, the owners of Radiantly Alive, have worked all over the world in all sorts of corporate jobs. But nowhere did we feel home, that sense of belonging, or the vibrancy for life as we instantly felt in Bali, at Radiantly Alive. We have made Radiantly Alive our home. And our home is your home. Offering yoga in an environment where you can truly be yourself, be vulnerable, learn, stumble and get up again. All supported by a family surrounding you - to lift you through all those ups and downs. 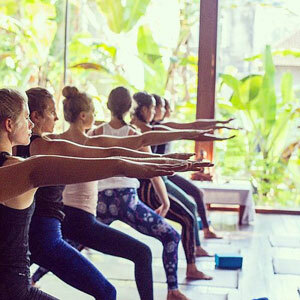 Throughout all our offerings - teacher trainings, yoga classes, workshops, and healing therapies - we provide a safe, nurturing and loving space that will allow you to undertake your own personal journey of discovery. Come for Yoga. Stay for family. All you have to do is knock. We are open for you. Are you ready? 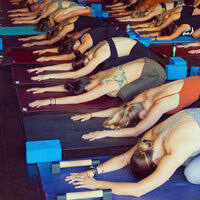 one of the best yoga teacher trainings out there. We are interested in offering you the most powerful and direct way to restore and improve your Radiance. 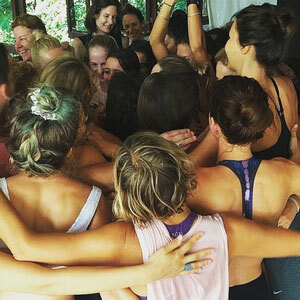 We've brought together an incredible team of teachers and therapists from all around the world, from various modalities, from modern to traditional, who deliver palpable and powerful results. 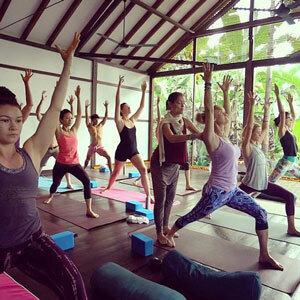 We invite you to experience it for yourself in a Radiantly Alive yoga class, workshop, masterclass, continuing education, teacher training or healing therapy session.